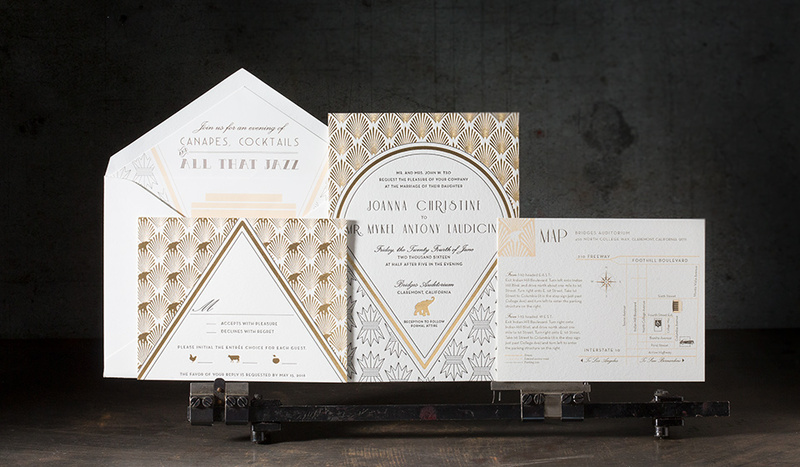 Custom letterpress and foil art deco wedding invitations. 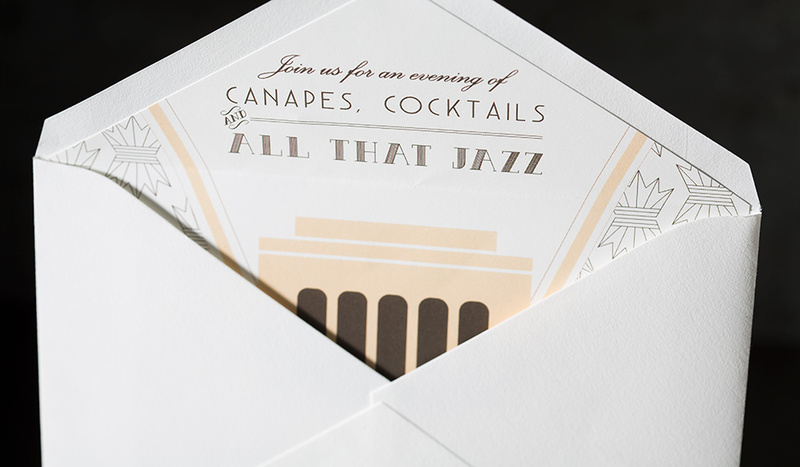 letterpress printing and foil stamping on Crane’s Lettra Pearl White 220# cover + 110# cover. liner digitally printed on Mohawk Superfine 80# smooth text. 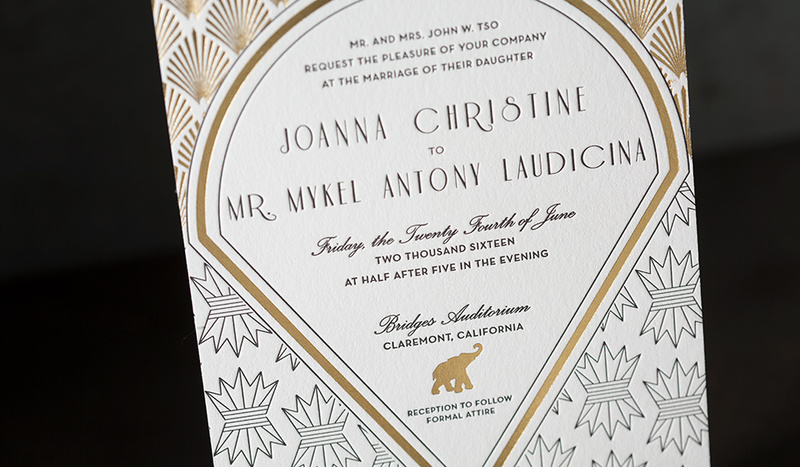 1 letterpress ink (black) + 1 foil color (gold matte). custom submitted artwork showcases an art deco theme throughout all of the pieces of this wedding suite. 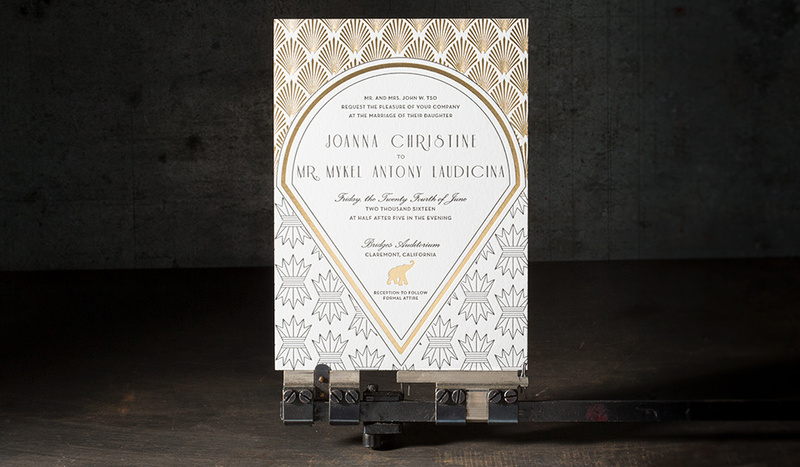 the invitation (5″ x 7″) features complementing bold geometric patterns and a letterpress and foil stamped frame that surrounds the letterpress printed text. 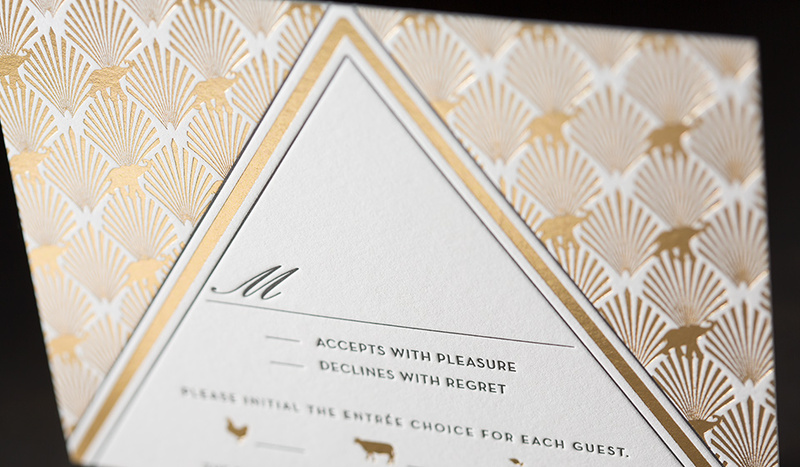 the foil stamped sunburst pattern and frame, along with an elephant motif is repeated on the reply card (4.25″ x 5.5″) in gold matte foil, as well as the digitally printed direction card (4.25″ x 5.5″). the digitally printed liner picks up the second art deco inspired pattern from the invite, as well as the frame surrounding the text. The liner also highlights the building where the wedding ceremony was held.